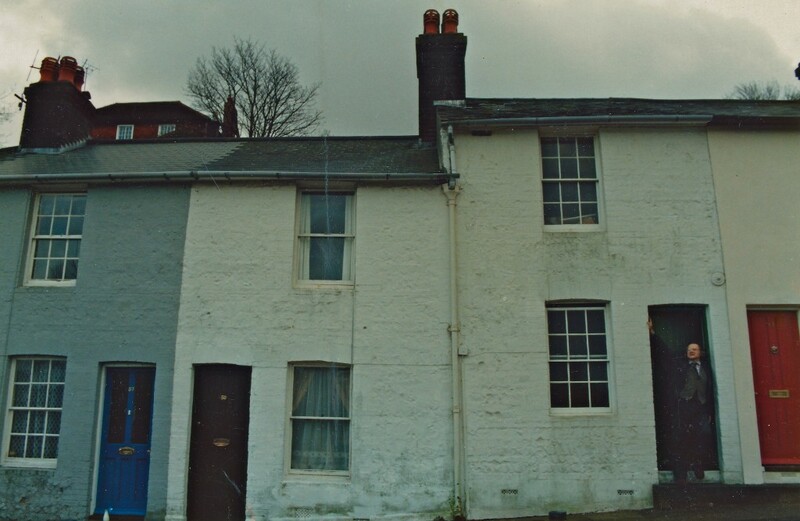 Previous occupants at 61, New Road in Lewes, a terraced cottage on the hill just under the castle, had painted a jungle-scape after Le Douanier Rousseau above the front room chimney piece, and Stephen had hung his family portraits against it. After lunch at the Lewes Arms he posed serenely, cross-legged in front of the fireplace and Magus-like on the doorstep. The photographs lay in a drawer until he died in 2007. 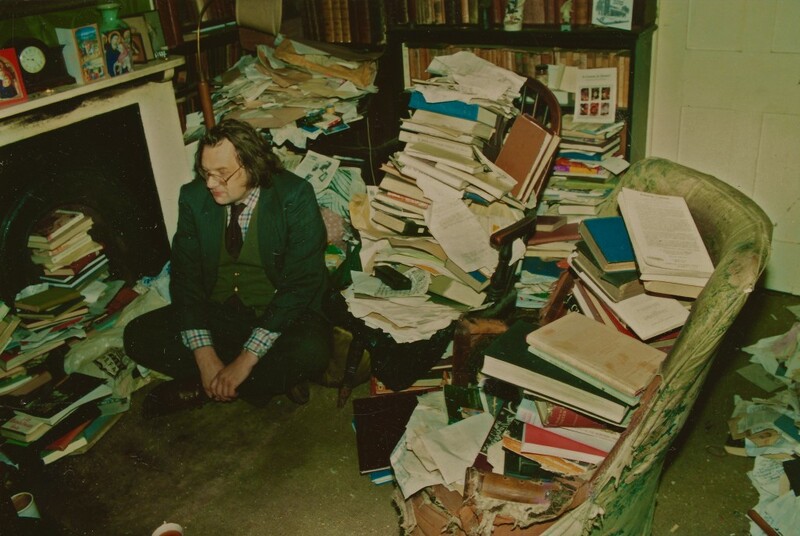 Stephen Medcalf (1936-2007), English scholar, academic , bibliophile and mystic, taught at the University of Sussex from 1963 until 2002. 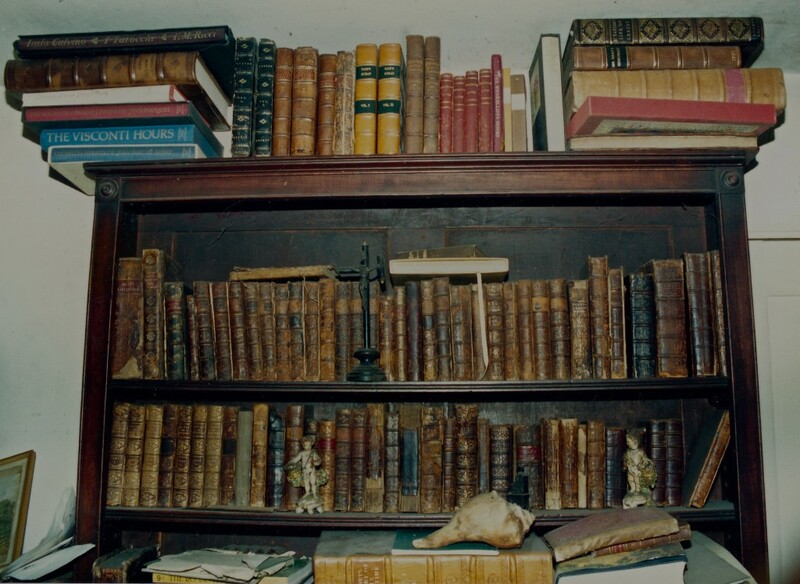 Books were his merchandise and eclectic dog-eared volumes from second-hand bookstalls were his chosen tokens of favour. Here he was in his element, like a troglodyte in his cave camouflaged against tannin-soaked carpets and brown leather bindings. He said that he would like to have the slogan, ‘THERE ARE NO BORING THINGS ONLY BORED PEOPLE,’ tattoed on his back and chest in red and green and gold and black. Oh, what an obviously loveable man! Thank heavens you photographed him and I particularly enjoy the fact that he had tidied up. 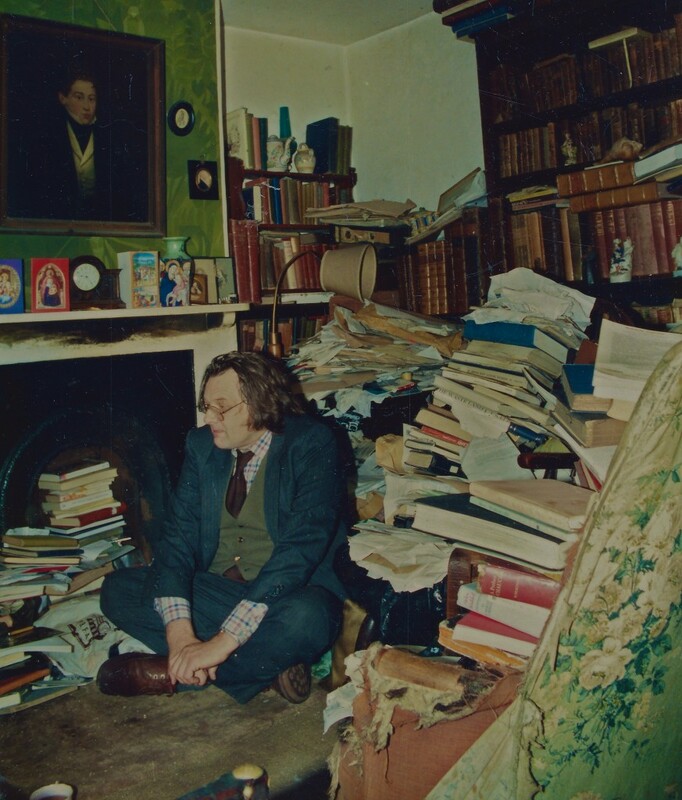 I was very lucky to be taught by Stephen in the mid-seventies at Sussex, and to visit his shambolic home too. He also came to visit at my home in Devon one summer, when we toured just about every church in the region. Great to come across this memento. Those who were taught by Stephen will remember that his room in the (old) arts building at Falmer rapidly took on the quality of his house. 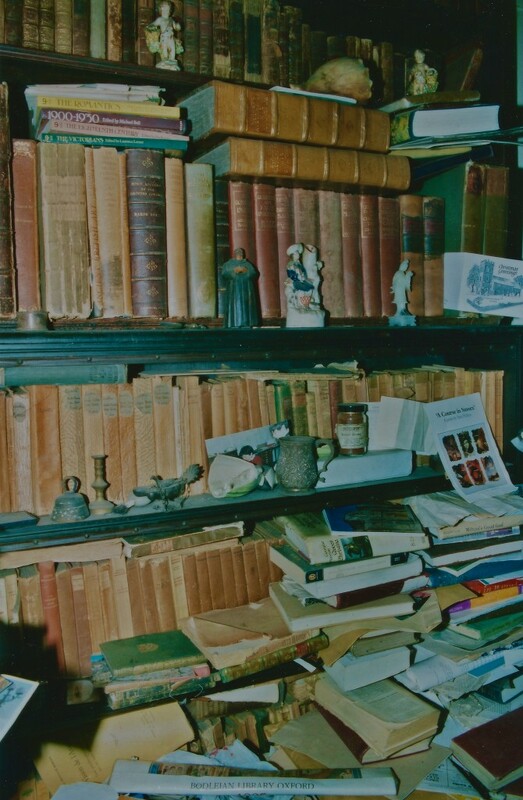 He was often invisible behind vast tottering piles of books and papers, from where a steady stream of oracular utterance proceeded. He was a saintly man, though he would have been the first to deny it. I wish I had come to know him again in later life. 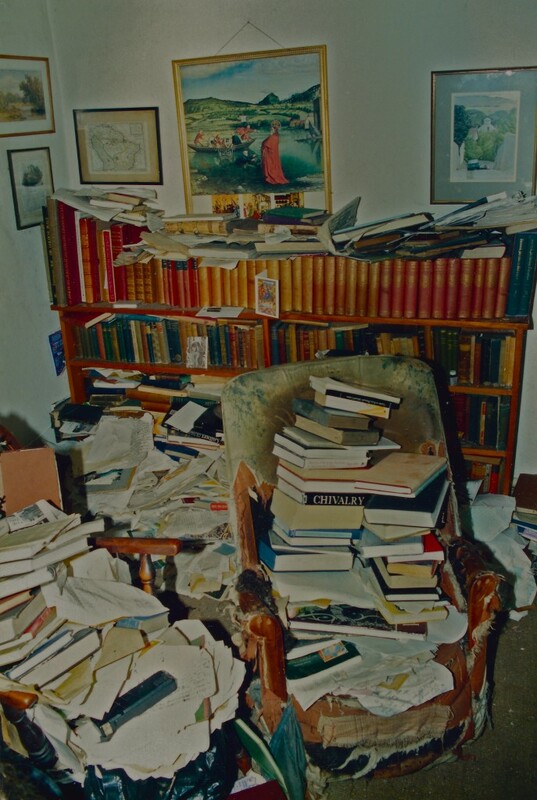 The drawers of his filing cabinet were marked “Paper/Paper/Paper”. My Uncle Stephen and my Godfather. 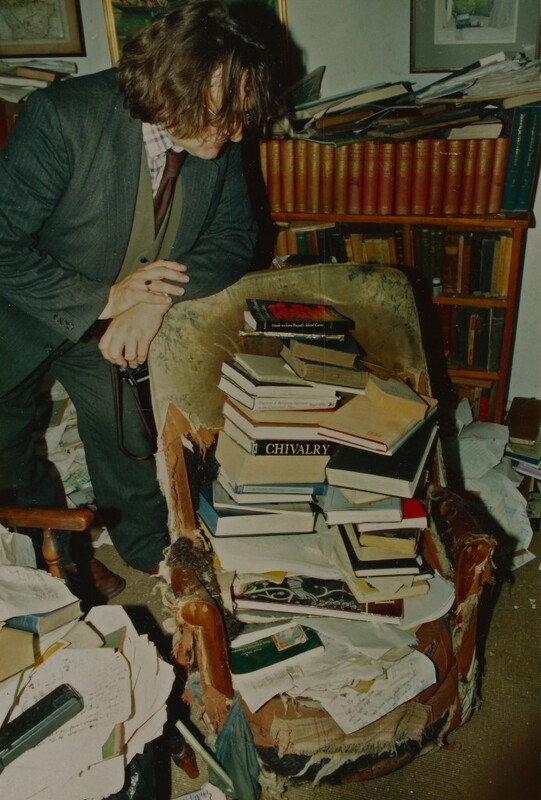 What a character; he would arrive at family gatherings armed with briefcase, usually bulging at the seams with his latest reading material or even something he was probably writing. Now all of his siblings are gone, but what a legacy that our family – despite all of our various sentiments surrounding his personal self care as partly depicted above – will treasure 🙂 Thank you for these images!